More than Any Race, Religion, or People on Earth! To Help Veterans Everything on this Website May Be Freely Copied, Reprinted, Published and Used by Any Means. After Twenty-Nine Years of refusing to comply with the Americans with Disabilities Act, Charlotte County Attorney, Janette S. Knowlton has set a Public Hearing to be held on April 23, 2019 at 10 AM before the Charlotte County Board of County Commissioners to decide if Charlotte County should approve a Local Ordinance allowing Disabled Veterans, needing P.T.S.D. Service Dogs, to use Public Beaches, Public Parks, and Public Facilities in Charlotte County Florida. Twenty-Nine Years ago, on July 26, 1990, President George H.W. Bush signed the Americans with Disabilities Act into law in an effort to end Disability Discrimination. The State of Florida, including Charlotte County, has never abided by the ADA, and for the past Twenty-Nine Years America's Disabled Veterans have had NO DISABILITY RIGHTS in Florida, and have been treated far worst than Blacks in the South were treated durring Jim Crow Laws. Over 150,000 Disabled Vietnam Veterans have been driven to suicide. Twice as many Veterans have been driven to suicide in Florida, than in any other state, because of the inhuman, horrific way Disabled Combat Veterans with P.T.S.D. are treated in Florida. Dogs have more rights than Disabled Veterans in Florida. Walmart, Publix, Aldi, and other stores in Florida, harass, threaten, and refuse, to allow Disabled Combat Veterans with mobility disabilities, whom need to lean on a shopping cart to walk, and need to put their P.T.S.D. Service Dog in a Shopping Cart to assist them durring P.T.S.D. Anxiety Attacks, to shop in their stores. Although Florida Law makes it a Serious Crime to harass, or prohibit a Disabled Person with a Service Dog from shopping (See F.S. 413.08(4)) Florida Law Enforcement are not trained in Disability Laws, and refuse to enforce any Disability Rights Law. Would the Charlotte County Sheriff get by with refusing to enforce Race Discrimination Laws, and allowing Blacks to be banned from Public Beaches, Public Parks, and not be allowed to shop because of the color of their skin? There would be riots, and the FBI would invade Charlotte County, and yet for Twenty-Nine Years America's Disabled Veterans needing P.T.S.D. Service Dogs have not been allowed to sit on a beach, go to a park, fish on a Public Fishing Peir, or allowed to shop in Walmart, Publix, or Aldi, and the only person that has spoken up is a victim, Billy Ray Kidwell, who has been driven to two Life-Threatening Stress-Caused Heart Attacks, and has Bleeding Ulcers, and severe depression because of the non-stop abuse. The Attorney General of the United States, William Barr, and his United States Department of Justice, will not even respond to Victim Letters from Disabled Veterans. The Governor of Florida, Ron DeSantis, is non-responsive. The Florida Attorney General, Ashley Moody, who has a son in the Army, does not care one bit about America's Disabled Veterans, and she refuses to comply with the Americans with Disabilities Act, while she refuses to enforce Florida's Disability Laws, such as F.S. 413.08(4). How would she feel if her son was treated that way after returning from war? Walmart has a Policy of calling the police on Disabled Veterans, needing to put their Service Dog in a Shopping Cart, because they can't walk because of their Military Service, and need to lean on a Shopping Cart to shop. Walmart lies and says they don't want Service Dogs in Shopping Carts to "Maintain cleanliness of carts". How Clean are Walmart Shopping Carts? Walmart has no problem with having children with leaking diapers in their shopping carts, or having bags of leaking raw chicken they sell put in their carts. Walmart sells poisons, cow manure, car batteries, dangerous chemicials, fish, pets, and other items to be put in the same shopping carts used for food, however the "cleanliness of their carts" is supposed to be threatened by a Service Dog and a Disabled Veteran? Walmart's Shopping Carts are left outside where birds poop on them, and welfare moms leave dirty diapers in them. A study was made of shopping carts by several universities and it was found that nearly every shopping cart has fetal matter, and is at least a thousand times filthier than the floor of a Public Restroom. [Click here to see the study]. In the thirty (30) years Walmart has been in Port Charlotte, Florida Walmart has not washed their shopping carts even once, despite there being many "cost-effective" auto cart washing systems out there. And yet Walmart claims that it has started this new policy of not allowing Service Dogs in Shopping Carts because of "how clean Walmart Shopping Carts are", and Walmart's desire to keep them clean? Look at Walmart's Bird Poop-Covered Shopping Carts at their Port Charlotte Florida Walmart Grocery Store. Does it look like a Service Dog is going to make those carts dirter? Between the complete lack of any Disabilities Rights Enforcement in Florida, where Disabled Veterans needing P.T.S.D. Service Dogs are not allowed anyplace in public, and not even allowed to shop, all they can do is stay home and wait to die. This is the horrable life of being a Disabled Veteran in Florida. This is WHY twice as many Disabled Veterans commit suicide in Florida than in any other state. No other state treats its Disabled Veterans as inhuman, and horrible, as Florida does. On April 23, 2019 at 10 AM the Charlotte County Board of County Commissioners will have a hearing to decide if Disabled Veterans needing Service Dogs should, at last, be allowed to use the Port Charlotte Beach. I urge every Veteran in Charlotte County to be at that hearing. Twenty-four Veterans commit suicide each day. That's one every hour. The reason Florida has more Veteran Suicides than any other state is simple. In Florida Disabled Veterans are not considered human by Governor, Ron DeSantis, or Attorney General, Ashley Moody. According to the United States Department of Veterans Affairs 8,760 Veterans are committing suicide each year. Most of the suicides are committed by Older Veterans, and more than 150,000 Vietnam Veterans have committed suicide. To understand WHY lets look at how Disabled Veterans are really treated in Florida. You enlist, voluniteer for combat, and return from war unable to work, unable to feed your family, support your wife, and children, because the country you fought for has the most corrupt claims system on earth, and St. Petersburg, Florida has the most corrupt Regional VA Office in America. 1. Evidence favorable to Veterans has been shreaded at the St Petersburg VA Regional Office for years. 3. Disabled Veterans from the Vietnam War fifty (50) years ago are still trying to get just one honest hearing on their claims at the St. Petersburg VA Regional Office however the Regional Office is not capable of honesty. That is how America's Disabled Veterans, MEDICALLY UNABLE TO STAND STRESS, are treated in Florida, which causes them to have heart, and nerve problems, like Bleeding Ulcers, and Stress-Caused Heart Attacks. Disabled Veterans then find that they cannot sit on a Beach, and enjoy the sunset, or fish from a Public Fishing Peir, or go to a Public Park, if they need a P.T.S.D. Dog to calm them durring P.T.S.D. Anxiety Attacks, because the State of Florida does not comply with the Americans with Disabilities Act, and will not respect, or enforce, Disability Rights Laws, and P.T.S.D. Service Dogs are not allowed at Public Beaches, Parks, or Fishing Piers. You try to shop but it is impossible with a VA Walker so you must lean on a Shopping Cart, and put your P.T.S.D. Service Dog in the cart to calm you durring P.T.S.D. Anxiety Attacks HOWEVER Walmart, Publix, and ALDI's do not allow Service Animals in their filthy shopping carts. It does not matter that Florida Law 413.08(4) makes it a crime to obstruct a Disabled Person with a Service Dog from shopping, Florida Governor, Ron DeSaintis, and Florida Attorney General, Ashley Moody, are continuing the "Policy" of past Florida Governors to abuse Disabled Veterans, and to deny them their Statutory Disability Rights. Florida is horrible beyond words, for America's Elderly, Disabled Combat, Veterans. Florida's Disabled Veterans have their VA Benefits stolen by the St Petersburg VA Regional Office. Florida's Disabled Veterans can't go anyplace public, and they can't shop. The Florida Governor, and Florida Attorney General does nothing. The U.S. Department of Justice does nothing, Veterans Groups, the VFW, American Legon, DAV, and so on, do nothing. All the Veteran can do is stay home and wait to die, which drives the Disabled Veteran to suicide. Florida Attorney General, Ashley Moody, has a son in the Army and she still refuses to do anything about the Illegal Abuse of Disabled Veterans in Florida. How would she feel if her son returned from war wounded, and he was cheated out of the VA Benefits he EARNED, and her Office would not enforce his rights, so he could not go to a Public Park, or Beach, or Shop. All he could do is stay home and wait to die. Well that is how Florida Attorney General Ashley Moody is abusing the Elderly, 100% Service-Connected, Disabled Veteran, Billy Kidwell! According to the Florida Attorney General's Office Florida State Law F.S. 431.08(4) makes it a crime to harass, or obstruct, a disabled Person with a Service Dog, however the State of Florida refuses to enforce Disability Laws like F.S. 413.08(4). Disability Rights Laws have NEVER been enforced in Florida, and corporations in Florida, like Walmart, Publix, and ALDI's, are allowed, and encouraged by the State of Florida, to freely violate the F.S. 431.08(4) Disability Rights of America's Disabled Veterans. As a result of this inhuman treatment of Disabled Veterans in Florida, OVER TWICE AS MANY DISABLED VETERANS COMMIT SUCIDE IN FLORIDA AS IN ANY OTHER STATE. And their blood belongs on the hands of Florida Governor, Ron DeSaintis, and Florida Attorney General, Ashley Moody. 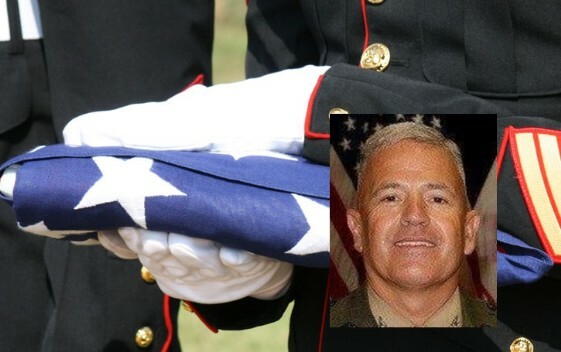 Retired Marine Colonel James Flynn Turner IV took his life at the St. Petersburg VA Hospital on December 10, 2018. Vietnam War Navy Veteran, Jerry Reid, 67, took his life at the St Petersburg VA on Feb. 7, 2013. Joseph Jorden, 57, a medically retired Army Green Beret, took his life at Bay Pines on March 17, 2017. Gerhard Reitmann, 66, who served with the Marines in Vietnam and later as a guard for President Richard Nixon at Camp David, "felt like the VA wasn't really taking care of him" when he ended his life at Bay Pines on Aug. 25, 2015, said his brother, Stephan Reitmann. Every hour another Disabled Veteran commits suicide. Have YOU been discriminated against in Florida for Being a Veteran? If so Please Click here and tell us your story, or e-mail us!